This historic book may have numerous typos and missing text. Purchasers can download a free scanned copy of the original book (without typos) from the publisher. Not indexed. Not illustrated. 1832 Excerpt: ...bringing the apparatus in the proper position of the standard, designating its parts, and the errors of a standard, that may have been determined by proper methods of comparison, can be corrected, and an accurate scale can be laid off from one less accurate, as Mr. Troughton did in making the scale of 82 inches, used in the present comparison, from his own, by doubling the middle part of forty and odd inches of his own. Upon the tableaux of the comparison. 39. It would lead into much length to go into detailed explanation of the particulars of the comparisons, and the deducing of the results from them; the general description of the operations, which has been given above, will, suffice for the understanding of the details, for any man who may wish to take the trouble of a nearer investigation, as the main results of the tables that will follow will present them in their regular succession, and the data of any reduction will be always quoted; such remarks as will be dictated by circumstances will appear in their proper place. 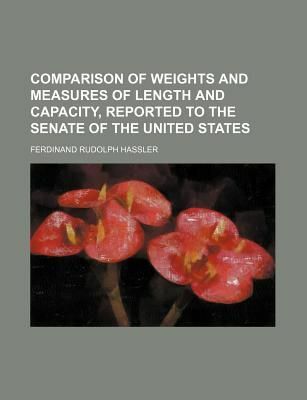 These tableaux will, therefore, exhibit a fully detailed account of the numerical part of the comparisons, and the detailed individual observations will be stated wherever they may be of interest, that is, in the comparisons of the standards of most importance. 40. When my report, and the statements accompanying the same, were already delivered, and this account almost completed, I had the satisfaction of the visit of Mr. J. N. Nicollet, astronomer of the Royal Observatory of Paris, member of the Board of Longitude of France, &c, acquainted with these subjects in detail, from the circumstance that the Observatory of Paris is the place of deposite of the original French standards, to which the copies, intended for authentic, are comp.